If you have lived or visited Sydney, you would probably know where The Rocks are. 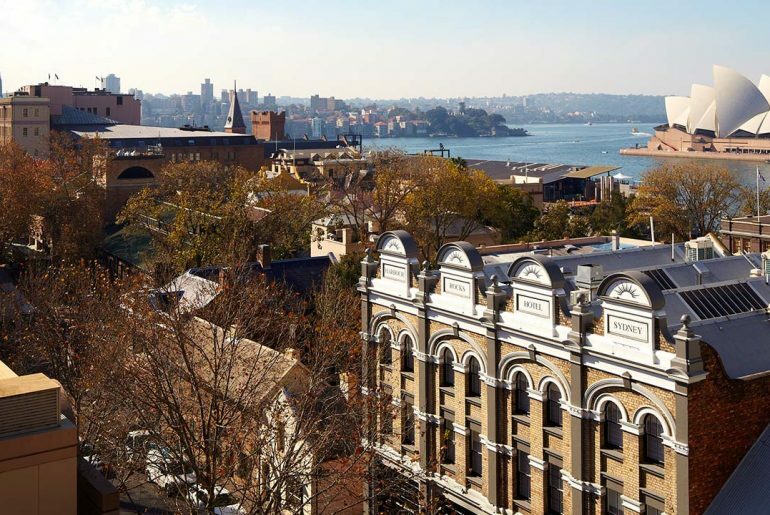 Known for being nestled on the edge of Sydney Harbour, the heritage architecture and cobblestoned lane, The Rocks has been known to be a tourist attraction, drawing in over 2.83 million visitors both internationally and domestically but how often do we locals visit The Rocks to enjoy a lunch or even go for a shop? With Dappertude being born out of Sydney, we have seen how The Rocks have grown from being an iconic area of Sydney to now a new cultural precinct which includes stylish modern bars, a range of Sydney’s finest restaurants and shops for local and international brands. With gentlemen nowadays being so busy it’s always good to save time by doing everything in one area without needing to travel in a car or even uber and we believe that a gentleman can certainly enjoy a day in The Rocks either if its for work, me time and play, The Rocks will definitely tick all the boxes. We spent a whole day in The Rocks to prove that this is true. Our first destination was the Holiday Inn Old Sydney, starting the busy day with a classic big breakfast on the rooftop while enjoying the stunning views of the Opera house and Harbour Bridge. Next, we head to the Barber Supreme, a barber which offers old world grooming for the modern gentleman, which is exactly what we were looking as we needed to get a fresh cut because you always need to look your best before a business meeting. Business meetings aren’t complete without quality and locally roasted coffee, so we head down to the Fine Food Store for the pursuit of “better coffee” (we really think it’s up there in). After the important things are done, we take a stroll thru the Nurses Walk to relax and take in the amazing heritage that The Rocks has to offer before entering George St.
Our next stop is DFS T Galleria, *fun fact: did you know that you don’t need to hold a boarding pass to shop at DFS T Galleria Sydney, its also open for locals* walking into DFS T Galleria, it feels like you have entered an uptown shopping mall, with brands like Dior, Burberry, Loewe, Mont Blanc, Salvatore Ferragamo, the list goes on. After doing some retail therapy, its time to catch up with an old friend for lunch at Pony Dining, located in Sydney’s oldest laneway of The Rocks, this local gem offers a flavour driven menu showcasing Australian produce and local beers, which is perfect on a sunny day. Whilst another round of retail shopping would be great for after a belly filling lunch, we thought that it would be ideal to visit one of the many art galleries The Rocks has to offer. We strolled our way to Ken Done, an art gallery which displays original pieces by Ken Done, his work has been described as the most original style to come out of Australia. Working predominantly in oils and acrylic, Done takes inspirations from diverse sources – the ebullience of the sea and sky, the transcendent emotions of a quiet garden, aboriginal art, Japanese poetry, the urban shout of Sydney, where he makes his home – but the sensibility that underlies his work is uniquely his own. They say, behind every successful gentleman, there is always a supporting partner behind them so it only makes sense to surprise her with a gift from Jason Ree, A family owned workshop which you only deal directly with the designers and craftspeople. Being one of Australia’s most industry awarded jewellers and one of the only few who practices the art of Mokume in jewellery, it wasn’t hard to find the right gift for the lady. Now as the day comes to an end, it would only make sense to finish it off with a few drinks with the boys at The Endeavour Tap Rooms. The beer at The Endeavour Tap Rooms are locally brewed using all-Australian, seasonally-harvested all-Australia ingredients with no preservatives, so you can kinda say its a healthy beer, mix that with a few snacks from their vast food menu, you have the perfect ending of a day mixed with work, me time and play at The Rocks, Sydney.